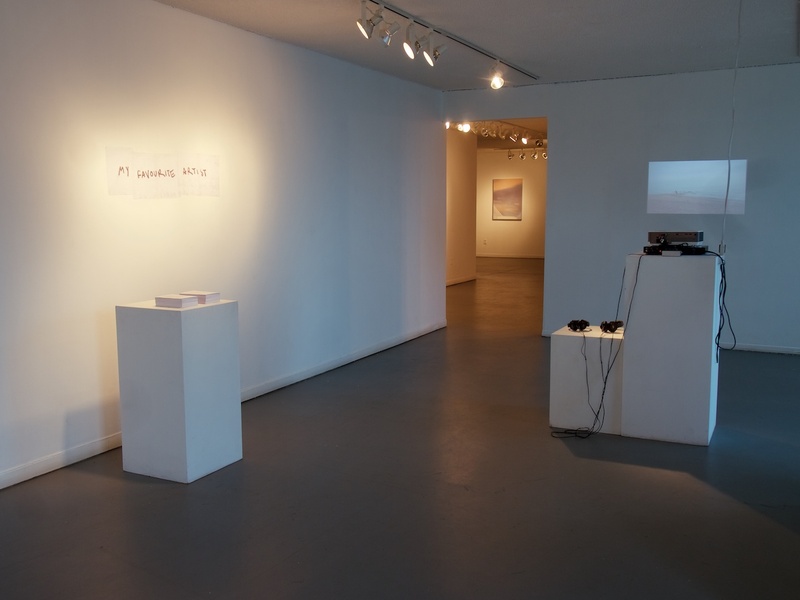 18 April–24 May 2013, Front Room Gallery, Harcourt House. “My Favourite Artist” and “Gibraltar Point I”, photo by the artist. 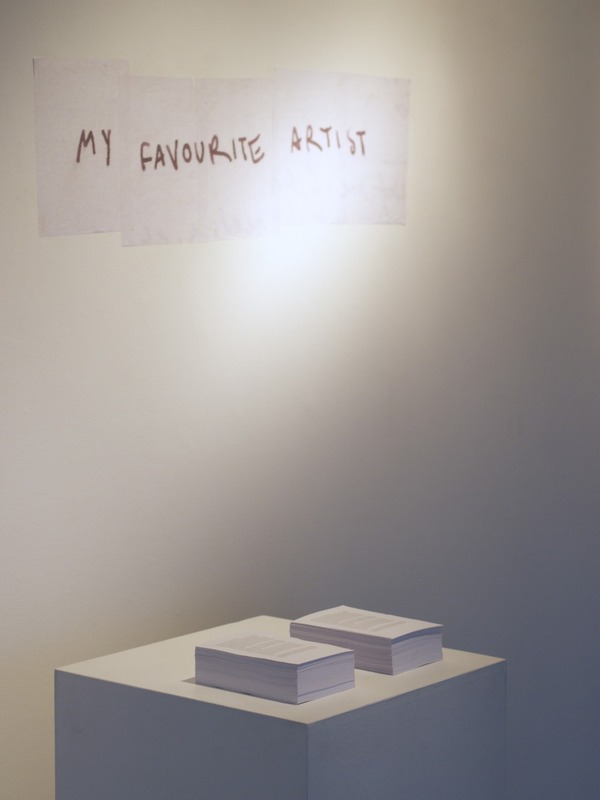 “My Favourite Artist”, 2012-2013, printed multiple and inkjet on wall. Still from “Gibraltar Point I”, HD video loop, 12:14, 2013.